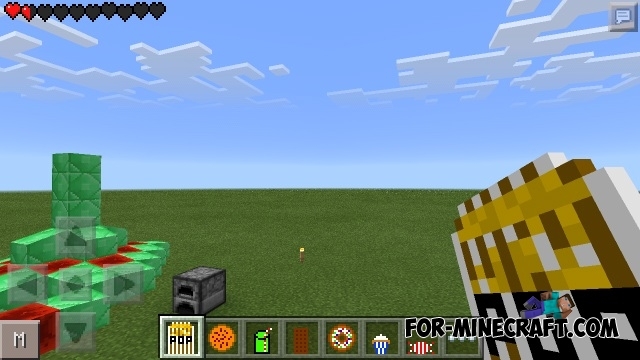 Junk Food Mod adds a lot of different types of fast food: Popcorn, donuts, hamburgers, juice, cookies, etc. Each product can be crafted, and gives a certain number of hearts. Do not forget to install the texture pack. 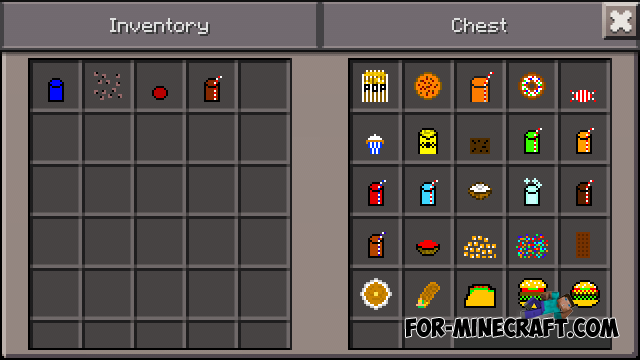 Much Food Mod for Minecraft PE 0.11.1You can add various interesting items, as well as food and drinks.